Polymaster's latest promotion is a February and March sale where a number of farm or around the house products are on special offer from local distributors. One product on offer is a 200 Litre fire-fighting and 600 Litre fire skid package. These packages will protect you and your family over the summer months and come complete with hose, onga pumps and a heavy duty galvanised skid frame. Liquid fertiliser tanks with the ability to hold liquids with a specific gravity of up to 1.5SG are also available in the sale. These tanks provide an economical way to store a liquid fertiliser. A 200 Litre Sweep trough is a double walled trough with easy clean, smooth sweep out end. The unique design minimises water wastage whilst maximising water efficiency when cleaning. 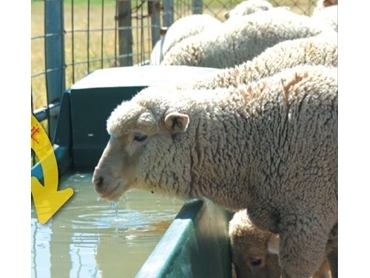 The Supa trough is a unique two trough design which is able to service two paddocks at once. Both of these products are in the sale too. For further information on any of these products or more visit the PolyMaster website.